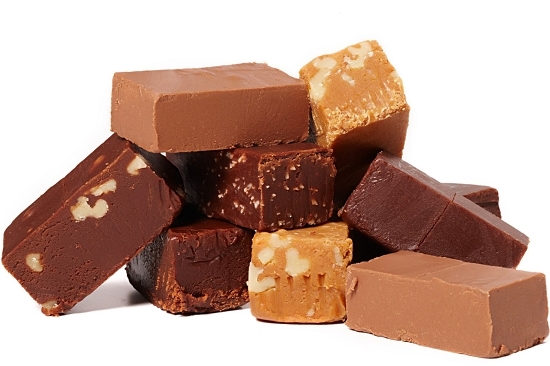 Fudge is a type of Western confectionery which is usually very sweet, and extremely rich. It is made by mixing sugar, butter, and milk and heating it to the soft-ball stage at 240 °F (116 °C), and then beating the mixture while it cools so that it acquires a smooth, creamy consistency. Many variations with other flavorings added are possible. The components of fudge are very similar to the traditional recipe for tablet, which is noted in The Household Book of Lady Grisell Baillie (1692-1733). The term “fudge” is often used in the United Kingdom for a softer variant of the tablet recipe. Word of this popular confectionery spread to other women’s colleges. Hot fudge in the United States and Canada is usually considered to be a chocolate product often used as a topping for ice cream in a heated form, particularly sundaes and parfaits. 1794 The first stone was laid for the world’s largest grain windmill in Holland. Known as ‘De Walvisch’ (the whale), it is still in existence. 1855 R.I.P. John Gorrie. Gorrie was received the first U.S. patent for mechanical refrigeration in 1851. 1893 R.W. Rueckheim invents ‘Cracker Jack’, a popcorn, peanut and molasses confection. It was introduced at the Columbian Exposition in Chicago. R.W.’s brother Louis perfected the secret formula in 1896, which prevents the molasses coated popcorn from sticking together. The prize in each box was introduced in 1912. 1903 A one year old company registered its trade name, Pepsi-Cola. It’s original name was ‘Brad’s Drink’ after Caleb Bradham, the pharmacist who developed the formula. He developed the formula at his drugstore in New Bern, North Carolina. I was the manager of the New Bern Golf & Country Club for a while in the 1980’s. 1909 Archie Fairley Carr was born. An American biologist and authority on turtles. His extensive studies and conservation efforts helped to increase turtle populations around the world. Guess you are expert of what life was like before refrigeration. As for making things up…Why would I choose to make THIS bit of information up and why? Is this why millions of people have visited my blog? They think I like making stuff up? After all these years, you are the first to say I ‘make this *stuff* up as I go along’. Google around and find the truth for yourself. If you don’t like my facts, perhaps you should go find ones you like for yourself instead.